There are many e-commerce plugins which seamlessly integrate with WordPress but we are going to mostly discuss WooCommerce which is one of the best free plugins out there. As you might already know WooCommerce adds extra features to your existing site to help the site owners to independently sell online one or more digital or physical products and services. Physical product – For example, a book, toys, clothing etc which can be shipped. Downloadable Digital products – For example, software, digital photos or PDF magazine one that doesn’t require shipping. Service-oriented business – For example web design. Non-profit sites which can accept donations. Affiliate store – External links to the products are listed on your website to earn a commission when the listed. Online Booking system – For example Travel package or movie ticket booking. 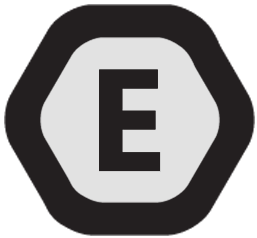 Enfold has built in support for the ecommerce plugin WooCommerce. This means that when you install and use the plugin’s output will have an integrated look and feel as well as some custom elements made just for the plugin. 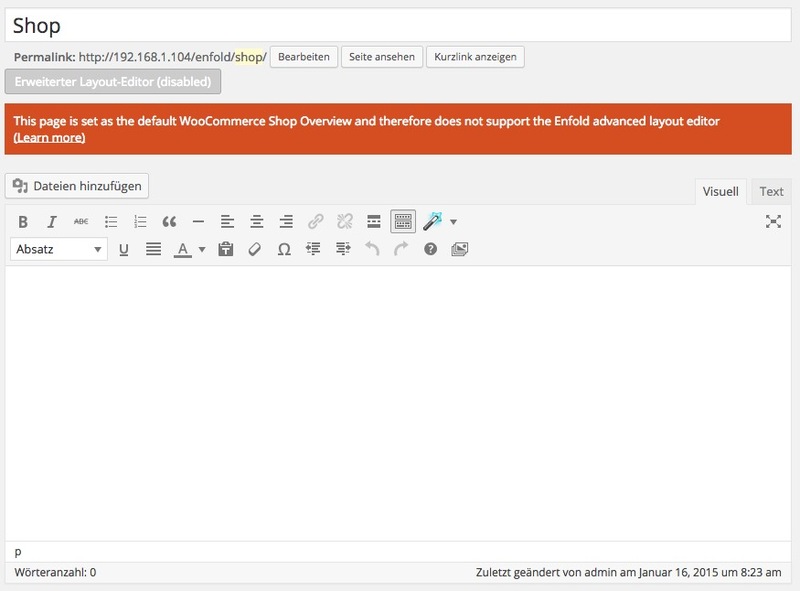 Once you open the WooCommerce default Page, the “Home Page of your shop” so to speak you will notice that the advanced layout editor is disabled by default (See image). This is because Woocommerce overwrites the contents of this pages and executes a custom query for your products. This does not play well with the way the Advanced Layout editor works. 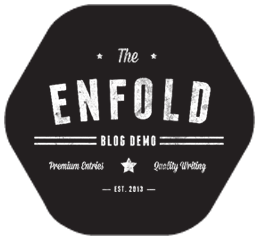 In Enfold version 2.6 the WooCommerce configuration file was changed so that you can modify the single product layout through your child themes functions.php using the built css grid.